This is a course for beginners, and for those who want to be part of the crew, not just a passenger. A more in-depth and hands-on introduction into yacht sailing, this course covers steering, handling sails, keeping a lookout, rowing the dinghy and being involved in all day to day activities on board. It’s not all about the training though, you will have visited some great places and had an enjoyable holiday. Our friendly instructors will ensure you not only complete the RYA Competent Crew syllabus but also introduce some boat handling under sail and power. By the end of the course you will be both competent and confident to sail with others and have learnt all that is required to crew effectively. RYA Competent Crew can be done in one 5 day block or spread over 2 or 3 weekends. 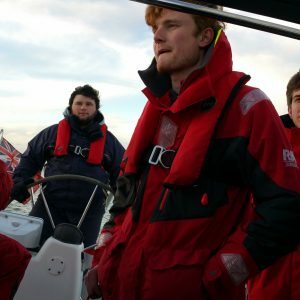 Students will live on board for the duration of the course on one of our luxury, well maintained yachts, and experience all aspects of sailing life. All food is provided on board except one evening meal which is taken ashore. Weekend Courses are spread over two weekends, one runs from Friday night to Sunday afternoon and the second either includes all day Friday or the Monday. If you have completed a RYA Start Yachting Certificate then this can be used as the first weekend of your RYA Competent Crew Course. We have availability most weekends to do the course over 2 days and subsequent 3 days. Warm Layers, Sailing shoes or Boots/Trainers or soft soled flat shoes. Sun cream, Sun Hat, Warm Hat. Sleeping Bag. After the course you will have knowledge of sea terms and parts of a boat, her rigging and sails, sail handling, ropework, fire precautions and fighting, personal safety equipment, man overboard, emergency equipment, meteorology, seasickness, helmsmanship, general duties, manners and customs, rules of the road, dinghies.